University of Iowa emeritus professor Himie Voxman, who was the director of the UI School of Music for more than a quarter century, 1954-1980, died Nov. 22, 2011, at the age of 99. The Voxman Music Building, which was destroyed by the 2008 flood, was named in his honor in 1995, and the UI named him an Honorary Doctor of Humane Letters in 2008. Over the course of his long career, Voxman became one of the nation’s most well known and respected music educators. He was known to clarinetists and other musicians throughout the world through his numerous compilations and editions for wind instruments and bibliographies of wind instrument literature Many of the familiar Clarinet Methods and Advanced repertoire editions have been the training staple of Clarinetists worldwide from their student beginnings as players. The Rubank Advanced Band Method, written by Voxman, is still considered a foundational instruction method series. In 2009 he was inducted into the Fine Arts category of the National Federation of State High School Associations National High School Hall of Fame. During his years at the UI Voxman contributed to the School of Music’s reputation as a premiere music school, served as an advisor for more than 40 doctoral dissertations, and made countless contributions to the Rita Benton Music Library’s collections. His travels to European Libraries during the 1950s and 1960s to procure copies of original manuscripts are the basis for this collection. It was under Voxman’s leadership that the School of Music received a Rockefeller grant to establish the Center for New Music, which has added another dimension of distinction to Iowa’s School of Music. Voxman was born in Centerville, Iowa, in 1912, and paid for his education at the UI by teaching clarinet lessons to high school students. In 1933 he received a Bachelor of Science degree with high distinction in chemical engineering. He also received a Master of Arts degree in 1934 and in 1939 joined the faculty of the School of Music. Voxman held many positions of honor and distinction during his career. He was the former vice-president of the National Association of College Wind and Percussion Instructors, and he held various offices in both the Music Educators’ National Conference and the Music Teachers’ National Association. He served as Chairman of the Commission on Graduate Studies for the National Association of Schools of Music, and on the National Commission on Graduate Studies for the National Schools of Music, and on the National Commission for Accreditation of Teacher Education and Welfare, and the North Central Association of Colleges and Schools. He was a field reader for music projects for the Department of Health Education and Welfare, and a member of the Academic Panel for cultural exchange projects for the United States Department of State. He received citations and awards from Phi Mu Epsilon, Kappa Kappa Psi, Pi Kappa Lambda, Sigma Alpha Iota, Tau Beta Pi, Phi Lambda Upsilon and Sigma Xi. The Iowa Bandmaster’s Association presented him an Honorary Life Membership, and the Iowa Music Educators Association honored him with its Distinguished Service Award. The Bell System awarded him its Silver Baton, and he held the Honorary Degree of Doctor from Coe College and a Doctor of Humane Letters from DePaul University. He was a member of the UI Alumni Association and the UI Foundation’s Presidents Club. 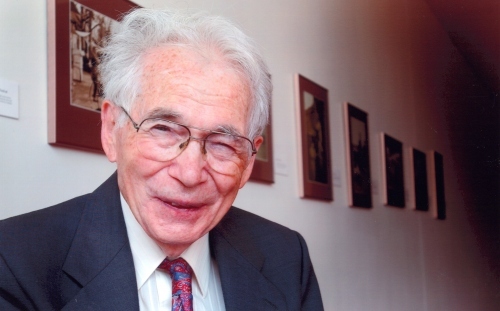 We are very saddened to inform that Stanley Hasty, one of the most important Clarinet icons of the last century passed away 22 June in Rochester, NY. A major majority of his Eastman students have been successful in their careers as Orchestral players and teachers throughout the United States. He was 91, and there was a 90th Birthday celebration for him last spring. Information about his career as Solo Clarinetist and Eastman legend Teacher contained on his hyperlinked name above. Clarinetists all over the world have been able to make wonderful, long-lasting reeds for more than 40 years by virtue of the REEDUAL machine, which was produced by a great ally to our craft- George Crossman. George was absolutely dedicated to beautiful clarinet sound. George was born in Connecticut in 1931. After playing clarinet in high school, he moved to California where he attended San Jose State and met his first wife, Shon. Following graduation he worked at IBM and for Lockheed Aerospace. He divorced in the early 1960s and moved to Florida to work for a company that built computers for the space program. A few years later, George met Sol Rabinowitz who had worked in a hardware store and who was a clarinetist and big band musician who had filled in with Benny Goodman’s band. Sol had become motivated to invent a reed machine after seeing that Benny had reeds all over the place and still couldn’t find a reed! In 1963 he patented the Reedual modeled after a key duplicating machine that could accurately copy a reed. In 1986, after the inventor died, George purchased the patent and rights to be able to continue making the dual. Since that time, clarinetists have had a marvelous reed machine made by a dedicated craftsman. George taught calculus, electronics, and math at Broward Community college. He loved golf, sports, art and music. Besides the clarinet, he played many different types of instruments including accordian, guitar and ukelele and had a wonderful voice. I have been making reeds with the dual for more than 20 years. As with all reeds, I keep about only 20% of the ones I make. However, these reeds last a very long time. I often practice on the same reed for more than three months, and the prize reeds that I set aside often play demanding chamber music concerts for well over a year. 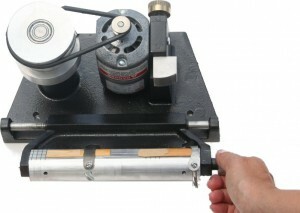 In fact, I cannot imagine not being able to make my reeds without this machine! The most remarkable testimony I can give about the virtue of using the dual was experienced during my first month of making reeds in 1990. At that time, I was preparing to play Beethoven 6 in the orchestra and knew that I needed to have many reed choices. As I had just began making reeds, I felt that I needed a little commercial reed “insurance” just in case I didn’t make enough good reeds of my own. I decided to purchase 20 boxes of reeds. To my surprise, I was unable to find even one reed that I could dedicate to these performances! I played all the rehearsals and concerts on reeds I had just learned to make! The question of whether to make reeds was now closed forever! Over the years I had many conversations with George. He was always happy to help an loved to talk. My machine has only needed one repair in all of the time I have been using it. I received a call from George last summer. He said that Reedual sales had all been but word-of-mouth and he felt he wanted to find the bes way to reach more young clarinetists. We came up with some great options. A few weeks later he told me he had just gotten a big order from a university, which was exciting news. Little did I know that this would be the last time that I would talk to him. In the first week of June I started receiving some prank emails from George. I was alerted to this because it appeared that George’s e-mail list was stolen by someone. I decided to call him and tell him what was happening. I only got his answering machine. To my astonishment, on June 10, I got a call from his son Marty, saying that George had died yesterday! I was amazed by these communication events. It was as if George wanted to tell us that he had passed. I felt grateful to have had the honor of receiving his message and decided to make sure that his work continued. Here are anecdotes sent from some of the clarinetists who have used the dual. William C. Willett passed peacefully into the unknown on Saturday, May 21, 2011. His wife of 66 years, Louise, and their children Alani, Joel, Peter, and Janice were at his bedside. He is survived by his daughter-in-law, Prof. Pat Somers-Willett, granddaughter, Susan Cline and husband Ernest, and great-granddaughter, Elizabeth, of Austin, TX; as well as Wisconsin brothers, Donald and Bruce. He was predeceased by his son, Mark. He was 90 years of age and still teaching in his home studio and playing in the Simsbury Community Band and the Valley Sax Quartet. Dr. Willett was an Emeritus Professor of the Hartt School of Music, University of Hartford. During his lengthy tenure, he and Professor Conrad Hemond Jr. of the Engineering Dept. developed the first Undergraduate program in Musical Acoustics in the U.S., and initiated the creation of the first Doctorate degree in Music Education at the U of H. Before coming to the U of H, Dr. Willett taught at SUNY (Fredonia, NY), from 1947 to 1967, where he established the 1st university major in saxophone offered in the eastern U.S. It was patterned after the degree program of the Conservatoire de Musique de Paris. During his tenure at SUNY, he conducted the orchestra and developed an outstanding Men’s Chorus and Clarinet Choir. In his later years in the Hartford area, he established the Little Valley Band, specializing in Dixieland jazz style.He also started the Greater Hartford New Horizons Band in 1995; the 75th year of the founding of the Hartt School of Music. 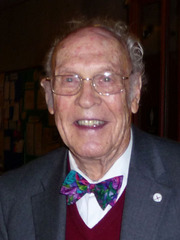 He and his wife, Louise, were active members of the Unitarian Meeting House in Hartford for 42 years, where he was Director of Music for 12 years. Bill’s many students over 45 years of University teaching (many of whom are performing, teaching, and composing throughout the U.S.) will miss him, as well as his present students and musician friends. A memorial service will be held on Sunday, June 26th at 1:00 PM at The Unitarian Society of Hartford, 50 Bloomfield Avenue in Hartford. The Willett family requests that memorial donations in Bill’s name be made to the Unitarian Society of Hartford. Dieter Klöcker is recognized as one of the finest German clarinetists of his generation. In additional, he is a conductor renowned for his numerous acclaimed concerts and recordings with the chamber ensemble he founded, Consortium Classicum. The focus of Klöcker and his group has been music for winds and strings from the Classical and Romantic periods, with the works of Mozart, Haydn, and Schubert figuring prominently on their programs, as well as those of lesser-known figures like Cartellieri, Ries, Reicha, and others. Klöcker has made numerous recordings -- more than 100 with the Consortium Classicum alone -- and for a variety of labels, including EMI, Orfeo, Novalis, and MD&G. 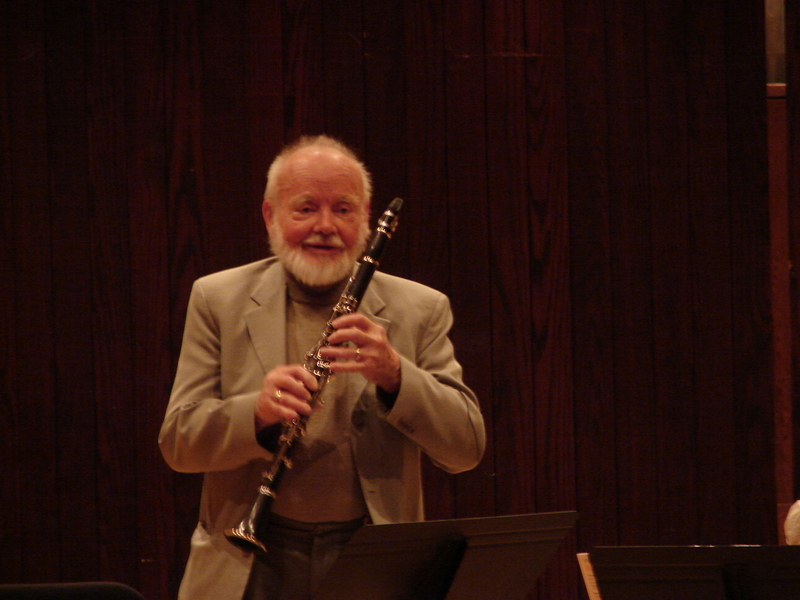 Klöcker also served as a professor of clarinet for more than 25 years and has authored many scholarly articles on music. Klöcker was born in Wuppertal, Germany, on April 13, 1936. As a youth he studied clarinet with Karl Kroll, then enrolled at the Northwest German Music Academy in Detmold, where his most important teacher was Jost Michaels. 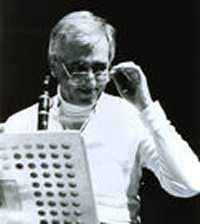 Klöcker played clarinet for about a decade in various German orchestras before founding Consortium Classicum in the 1960s. Over the years the ensemble has consisted of about 14 players drawn from the ranks of Germany's most talented wind and string soloists, orchestra members, and university professors. By the mid-'70s Klöcker and his orchestra had established a reputation as one of the finest chamber ensembles before the public. Among their earliest acclaimed recordings was the 1974 EMI release of Haydn's Six Notturni. In the midst of his early successes Klöcker accepted a professorship in 1975 at the Hochschule für Musik in Freiburg, where he taught until 2001. Over the years Klöcker led the Consortium Classicum in numerous concerts throughout Europe, the Americas, the Far East, and Australia and also turned out numerous popular recordings. In addition, Klöcker made television appearances with Dietrich Fischer-Dieskau, Hermann Prey, and Helen Donath, and he wrote a number of essays on music in the 1990s. Klöcker has remained active in the new century in both the concert hall and recording studio. Among his recordings is the 2003 DVD of Cartellieri clarinet and flute concertos on MD&G. Several of Klöcker's earliest EMI recordings have been released by the CPO label, among them the 2006 (originally 1974) Mozart Clarinet Quintet, K. 581, and Stadler Trio for three bassett horns.